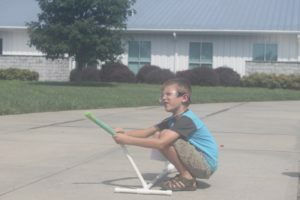 Union County 4-H finished up its Summer Fun program at the beginning of August by hosting its S.T.E.A.M. Explorers camp for youth ages 5-8 years-old. The focus for the week included the subjects of Science, Technology, Engineering, Art, and Math with a special emphasis on Science and Art. Each day, the 18 campers participated in a themed topic involving activities surrounding that focus. During the “Weather and Astronomy” day, the kids liked shooting off paper rockets and using oreos to learn about the phases of the moon. They had fun building small boats as a challenge to see which one could hold the most weight on the “Science and Engineering” day. The campers painted rocks and tile canvases during the “Arts and Crafts” day, built terrariums with donated plants from members of the Master Gardener℠ volunteers during the “All about Nature” day, and got messy with shaving cream and oobleck on the “Let’s Get Messy” final day. Much of the inspiration for S.T.E.A.M. Explorers came from the TV show The Magic School Bus and Ms. Frizzle’s classroom. Throughout the camp, the youth were able to “take chances” by brainstorming the solution to problems, “make mistakes” by trying and failing at building structures with building blocks, and “get messy” by learning about blood using water beads. The camp was designed to capture the interest of the participants that would lead to experiential learning by them doing science experiments and using their imagination to create art pieces related to the daily theme. 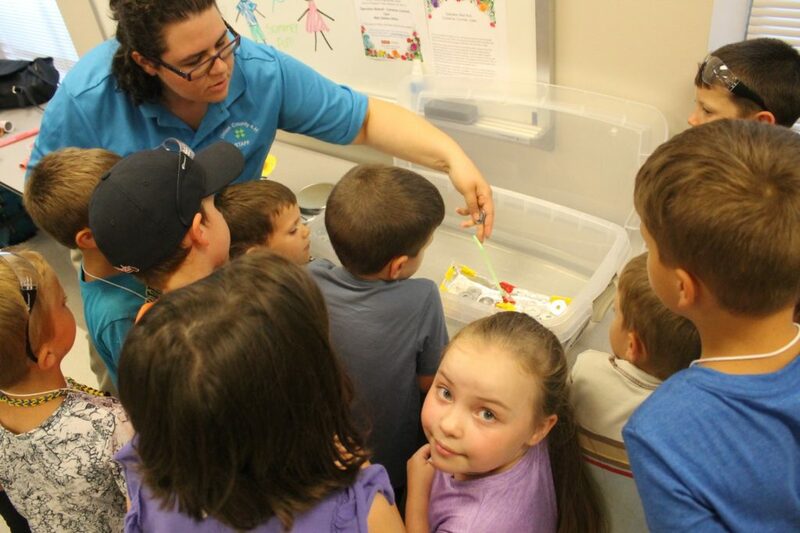 As scientists, technicians, engineers, artists, and mathematicians, the youth participated in activities that challenged them to work together as a team and develop positive social skills that could prepare them for the school year. At the end of S.T.E.A.M Explorers, several of the campers were happy with the things that they created, sad that the camp had to end, and excited to share what they learned throughout the week with their families. 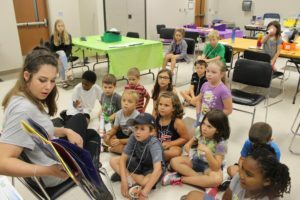 By keeping the 4-H Slogan “Learn by Doing” in mind, the Union County 4-H leaders created and implemented a successful youth camp to end their Summer Fun Program 2018 and are looking forward to developing more summer programs for youth next year.